MadelineLime had the most liked content! Whoa do these even show up anywhere anymore? 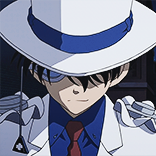 I just start tuning out the Kaito Kid haters because they just never have anything solid to say. I don't understand why you're participating with that on a thread about the movie when you say you haven't seen it, don't hate Kid, and as someone who has seen it, I seek out this thread to discuss what happens in the movie and all I see is several posts whining about Kid. Why? DC has gone on so long that without Kid throwing in a very different flavor, it would have become SEVERELY more stale faster. Many of the movies that haven't included him had suffered the same fate as much of the series, which is extreme predictability and nothing but bombs and explosions. 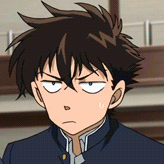 It's also nice to see Shinichi, even if it is Kaito pretending to be him. Wow that is an excellent point. It seems they're keeping the timeline to be the original one, but like the manga/show has been keeping up with tech. It's always amusing to me to see how much the early cases would have changed if someone just had a cell phone, and then in the latest stuff, which is suppose to be less than a year later, people have smartphones. I wish you would give a logical reason to all this Kid hate you have, Balthazar. The only logical argument against Kid I've ever heard was from Kyuu telling me he just didn't like how the focus took away from Black Org plot... (which given how little plot we have isn't entirely true, just more AO) As a former magicians assistant I know I'm a bit biased but come on. If you don't like it, why do you feel the need to constantly rain on the parade of those that do? It's nice to finally have someone show up in DC non canon who isn't taken in by stupid half truths told by Conan/Shinichi. The only bad parts of the movie are that really stupid motive of the actual thief, and the confusing and over the top collapsing building. Wish my friend hadn't told me the spoilers for the MK anime finale. I'm so disappointed. You should be thanking your friend for saving your precious time. I haven't watched it yet, so I believe Akazora was correct, lol. They redid the Crystal Mother crap. I'm so done. hullo! What are you up to? Although I've only six weeks left, then reading period/summer holidays. As other people have posted around the web, I'm scared for the animation, and curious as to if we are getting a third version of the Crystal Mother, lol. I really liked how they were taking the Spider thing, and it made Hakuba more interesting, so I hope that reuse or keep him in it. If it's "different," is it a reboot per se, or just that it won't be in the same timeslot? I guess nobody knows quite yet? Tell me, what's wrong with this picture. Are we sure Kazuha has the same voice actor? Sounds mad different. Do we know what kind of ratings MK even gets? Considering how off the manga it started going, I'm kind of surprised they haven't spinning it more off (tbh I'm more than okay with that). I also found it interesting they gave him a theme, and then never used it again. Apparently you can have strep throat for 5 months without knowing it. Whoops! Maybe she's tricked, or maybe she's holding her tongue. We really don't know, she gets so complacent sometimes, that it's hard to tell what she is thinking. What type of Spinoff would you love to happen? A something with just the police would be great, and they could even do a Law and Order style show with the police and the lawyers that have shown up. :3 Also something with Heiji. He makes mistakes, and that makes for great character development. Capcom pulled all their overseas development. I know they lost a lot of inhouse talent, but I'm still glad.